Although I wasn't particularly a fan of the film (I didn't have time to watch it all and never actually bothered watching the end) I am a fan of 20's inspired fashion. Back when I first started working as a Supporting Artist a few years ago I worked on a music video for Yolanda be Cool (of We no speak Americano fame) that unfortunately did nowhere near as well as their first (and only) hit, but I loved filming it. Although I didn't love the fine I got for accidentally driving in the congestion zone without realising! The video had a 20's theme and was filmed in the amazing Rivoli ballroom in London, which you've probably seen used for at least one video/TV show etc without realising (S Club 7's Don't stop moving video?). I wore a purple flapper style dress, long black beads, long black gloves, a black feather boa and my Latin American or character (dancing) shoes, I can't remember which ones the stylist told me to wear in the end. If you'd like to see the video you can find it here. I've spotted a few Gatsby style nail looks on Pinterest so decided to have a go myself and see what I could create. I didn't have time to do anything too fancy so tried to keep it simple (although to be honest my designs are always quite simple!). I realised I haven't actually used Models Own Diamond Luxe in Oval Plum yet so thought I'd give it a try as the base for this design to make the lines. I used stripping tape to create the design, which is actually really hard to try and do precisely when you can only use one hand because you're applying it to the other! I then painted over the whole thing with Nails Inc Alexa Silk before removing the stripping tape straight away. I then finished this off with a Soigne Gel top coat (not pictured) that I'll be reviewing very soon. 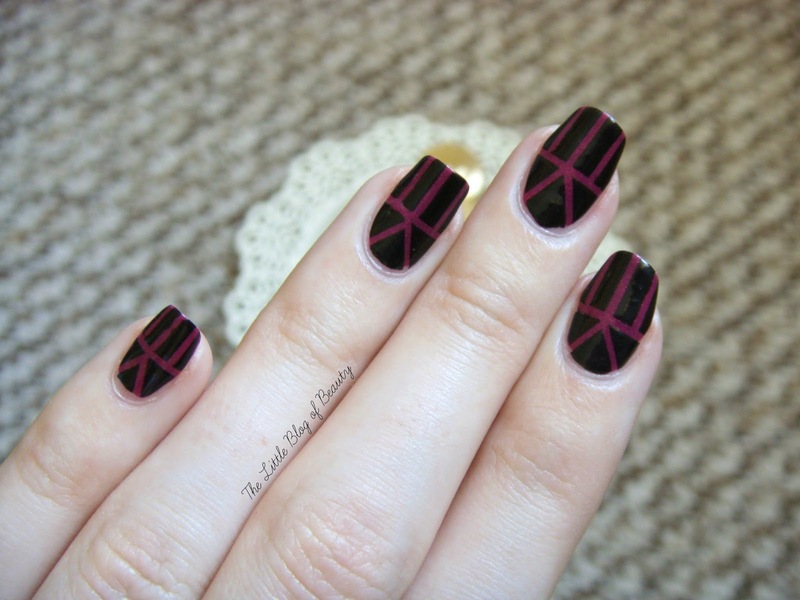 What do you think of Gatsby inspired nails? Are you a fan of 20's inspired fashion? This is lovely and I love the design. I've become a real big fan of the 20s because of my fashion styling class and I love the feel of it. 1920's is one of my favourite periods too, especially for make up, but Ive never thought about nails! 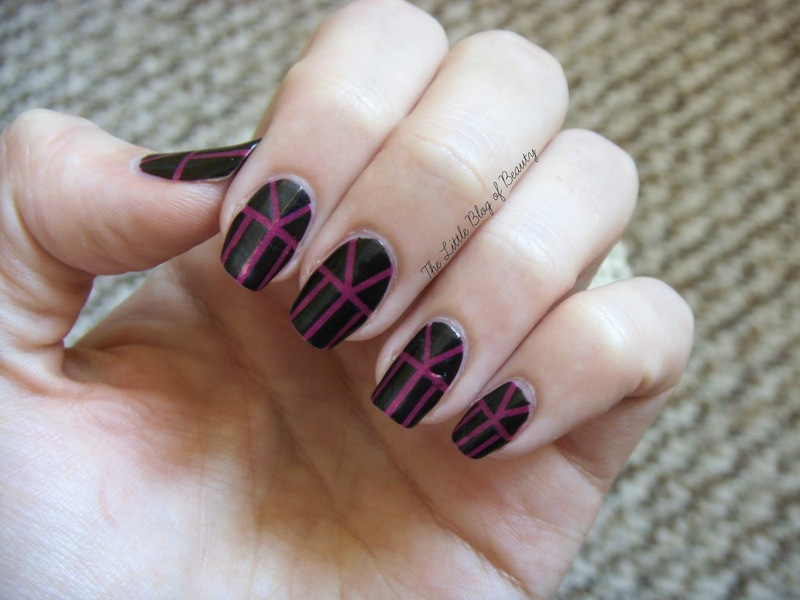 I need to hurry up and get myself some striping tape so I can give this a go!